One of only a handful of Structural Chiropractors in the United States. His introduction into the world of Structural Correction occurred while he was serving in 2nd Ranger Battalion at Joint Base Lewis-McChord. He sustained MANY injuries during his four years of active service. When his time in the military came to a close, he was told that he needed to have back surgery to correct his secondary condition of chronic pain. Before going into surgery for his two disc herniations and compression fractures, he took the advice of his wife (girlfriend at the time) to try going to her Chiropractor first. That was the second best decision of his life, second only to marrying her. He was so inspired and motivated by his health outcomes that he enrolled at the University of Southern California. Tony received his B.A. in Biological Sciences and began his journey of learning the intricacies of Structural Correction Chiropractic. Next, he then moved on to the University of Western States in pursuit of his Doctor of Chiropractic degree and where he continued to expand on his knowledge of Structural Correction. Dr. Tony has completed additional Post-Graduate work that focuses on pediatric and perinatal structural chiropractic. He loves treating families together and to accomplish this, he sought out the best pediatric program available to Chiropractors (International Chiropractic Pediatric Association). Dr. Tony also has a passion and expertise in treating people who suffer whiplash and injuries suffered from auto accidents. He takes great pride in getting patients back to pre-accident condition in as little time as possible with the highest quality whiplash treatment available. He is currently training with the Spinal Research Institute of San Diego. 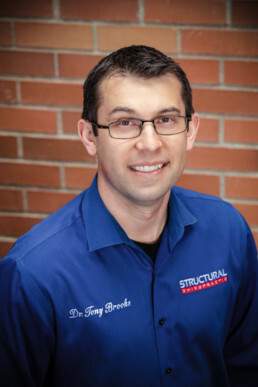 Tony loves living in and serving the community of Redmond/Bellevue/Kirkland/Woodinville/ Duvall and hopes to create a healthier community through education and the highest quality Structural Chiropractic care available. He looks forward to being your local chiropractor!